Fenway Park overflows with memories. Not just recollections and replays of cherished moments by players on the field, but from fans, who have their own favorite stories, from visiting, working for, or simply being near Fenway Park. 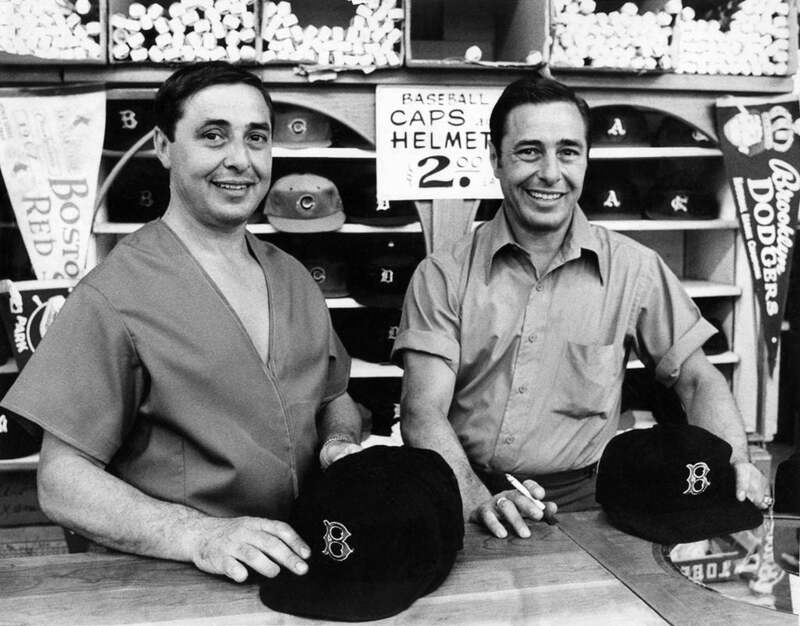 This year marks the 70th anniversary of ’47, the sports lifestyle brand founded by Arthur and Henry D’Angelo that operates the Boston Red Sox Team Store on Yawkey Way. 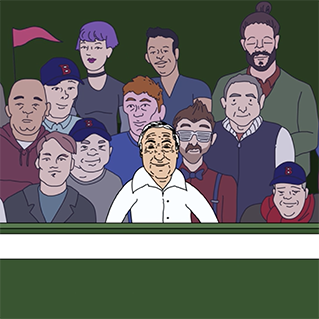 So we asked the ’47 family, as well as other notables in town with connections to the ballpark, to share their favorite stories of Fenway and the Red Sox. For anyone approaching or over the age of 60, the year 1967 dominates their Red Sox memories. Even for people who have lived through the pennant-winning and championship-winning years of 1975, 1986, 2004, 2007, and 2013 (and the heart-breaking year of 1978). Consider Steve Russo. Russo started working as an usher at Fenway Park when he was 16 years old. He has now worked for the Sox for 50 years in various capacities, and has two World Series rings and years of memories about great games, great seasons, and great people. Yet, when asked to zero-in on his most memorable moments at Fenway, he immediately accesses 1967, his first year on the job. 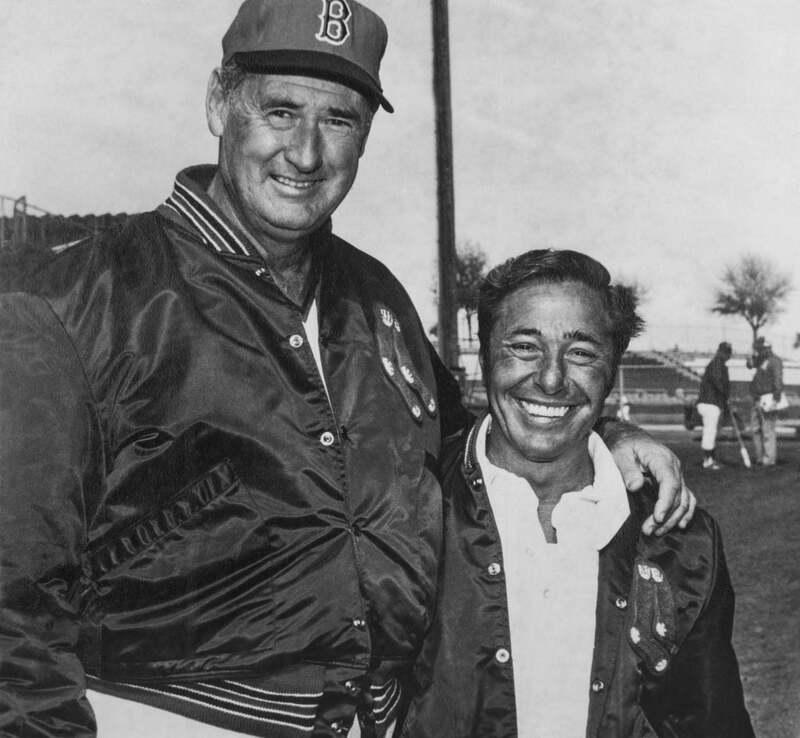 Arthur D’Angelo with Ted Williams. There were no seats out where Russo ushered, he recalls. Only long, wooden benches that required a single dollar to claim. There wasn’t much security either. No one saw the need until later that year. The day the Sox clinched the playoffs in a game against the Minnesota Twins on the last day of the season, Russo was told to keep people from jumping on the field if they won. 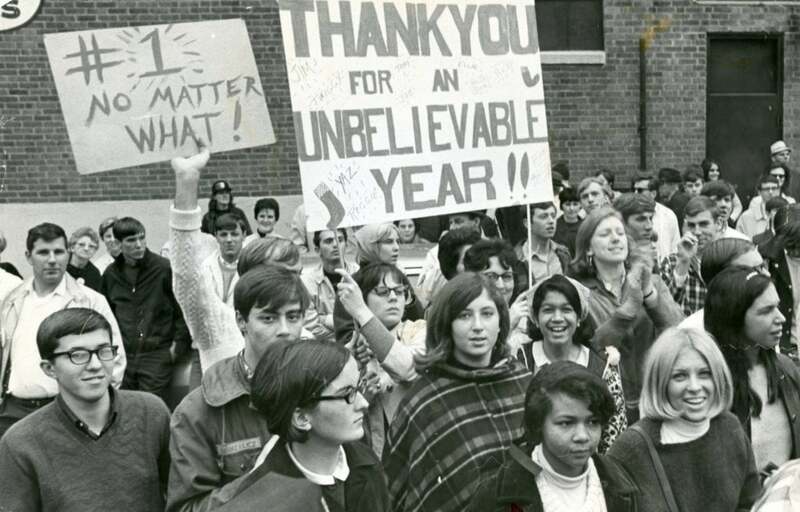 Globe staffOn October 12, 1967, loyal Red Sox fans crowded outside the press gate waiting for Sox players to leave the park before the 7th and deciding game of the World Series. 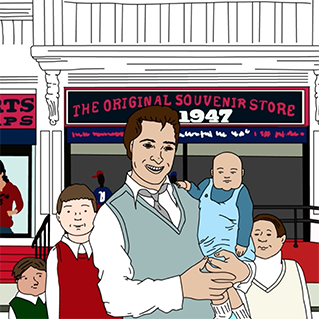 The Impossible Dream Year also sparks Bobby D’Angelo’s nostalgia. And when the topic of pennants arise, D’Angelo must point out the family’s hard-to-believe legacy with actual pennants. 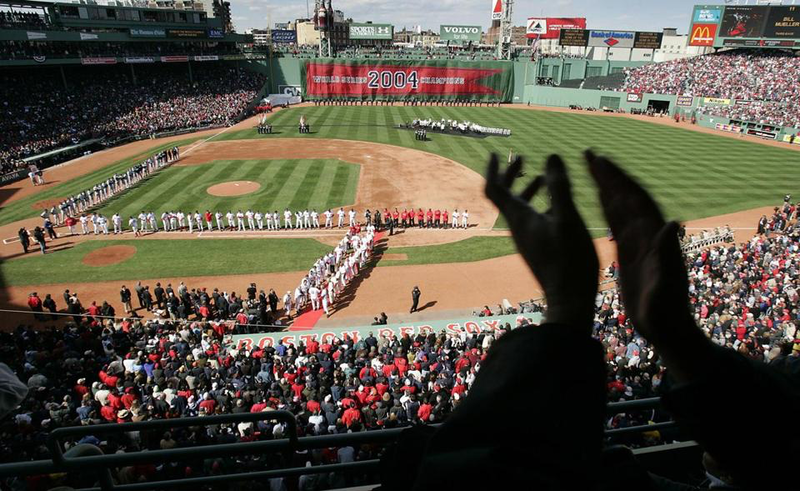 The unique aspects of the country’s oldest ballpark also are top of mind when people are asked to recount their memories of Fenway and the Red Sox. Novelist Leslie Epstein (and father of former Sox general manager Theo), remembers having to drag his three reluctant kids to the park shortly after the family moved to Boston, and depended on the unusual aspects of the park to keep the kids engrossed. Fenway provided plenty of material for the dad that day, he says. To Janet Marie Smith, Fenway Park looked like a dark and dingy place, replete with underutilized space, cramped walkways, and unforgiving access points. But she has the eye of an architect, naturally drawn to how design and form can be altered to improve the fan experience. Her work with the Sox is well known and obvious when you consider it wasn’t that long ago when there were no Monster Seats, State Street Pavillion, Fan Concourse, and many other improvements she oversaw as the Red Sox chief architect. However, when asked to recount her time with her team, one of the first things that comes to mind is the view outside her office window on Yawkey Way. Further observation, though, convinced her there were other motives at play beyond cleaning up the street. 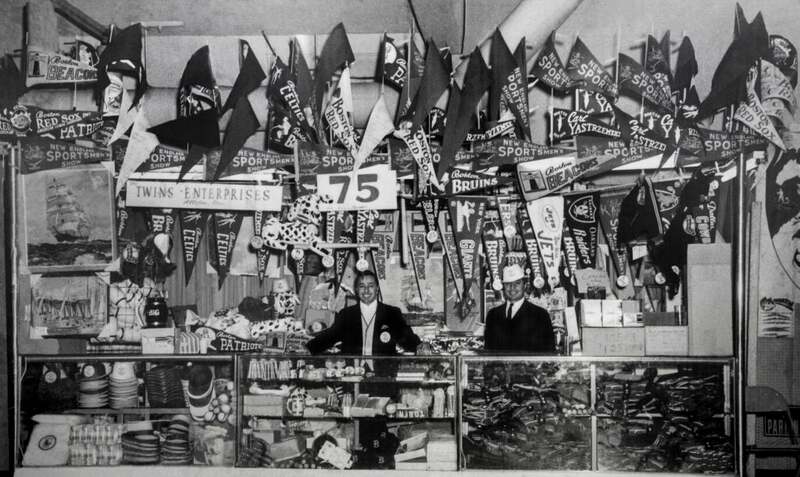 Arthur and Henry D’Angelo started their business selling pennants and other souvenirs in the Fenway area. Patrick Lyons also recalls seeing Arthur D’Angelo sweeping and shoveling and breaking ice in front of his store and figures passersby probably thought it was a homeless man trying to curry favor with the store’s owners, unaware that the man was one of the biggest property owners around Fenway Park. “I think it speaks to his work ethic which was passed on to members of his family,” says Lyons, co-founder of The Lyons Group, which owned and operated a string of nightclubs and entertainment venues around Fenway Park. But today Lyons said what most comes to mind when thinking about the Fenway area—he’s worked around there since the late 1970s—are the many positive changes that have taken place. 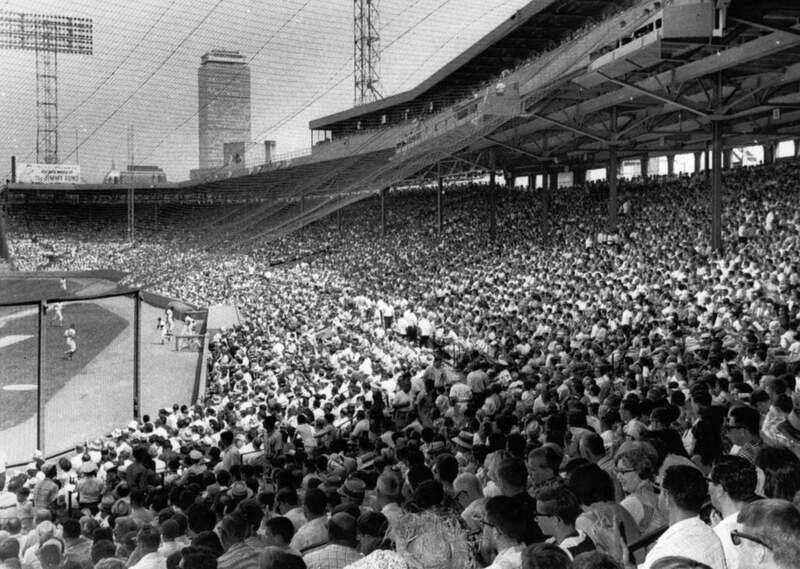 Globe staff34,193 people attend a game between the Boston Red Sox and the California Angels at Fenway Park in 1967. 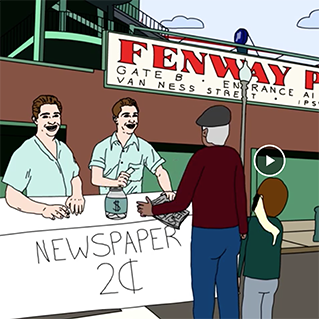 The business cycle around Fenway, he notes, was always a bumpy ride. Lyons recalls the lean years with a sense of awe. Lyons credits the new owners with the change, not just in win-loss percentage, but with altering the character and flavor of the area. The man who invented Wally The Green Monster is currently senior vice president for Fenway Concerts and Entertainment. Larry Cancro, a 31-year veteran with the organization has probably forgotten more than most people remember about their time at Fenway Park. The few moments left with him are filled with outstanding stories and recollections of team play, but also behind-the-scenes marketing and innovation and the beginning of traditions that last today. Arthur and Henry behind the counter. Current Red Sox President Sam Kennedy swears that he worked in the Twins Enterprise store across the street from Fenway Park when he was 14 years-old during the summer of 1987, the year following the team’s improbable – and ultimately heartbreaking – run for the World Series championship. His salesmanship helped propel him to an internship with the New York Yankees and eventually positions with the San Diego Padres. Now, with a Fenway Park office that overlooks the store where it all started, he looks back with a laugh. Although Jeff Goldenberg has spent a lifetime around Fenway Park, beginning more than 30 years ago with the Sox when he was a Northeastern College co-op, the 2004 World Series and the 1999 All-Star Game are the events that come to him first when asked to think about his time there. Globe StaffAfter the 86-year-long curse was reversed in 2004, fans packed Fenway Park to celebrate the World Series Champions. Fenway Park, Goldenberg agrees, has been a part of so many memorable moments, events, and games that it’s difficult to pinpoint one. He was part of the group that brought rock concerts to Fenway, which had been unthinkable before the new ownership. Of course, perhaps Mr. Margaritaville had a little help breaking that curse. The summer of 2004, after all, was full of magic, and business boomed on Yawkey Way. 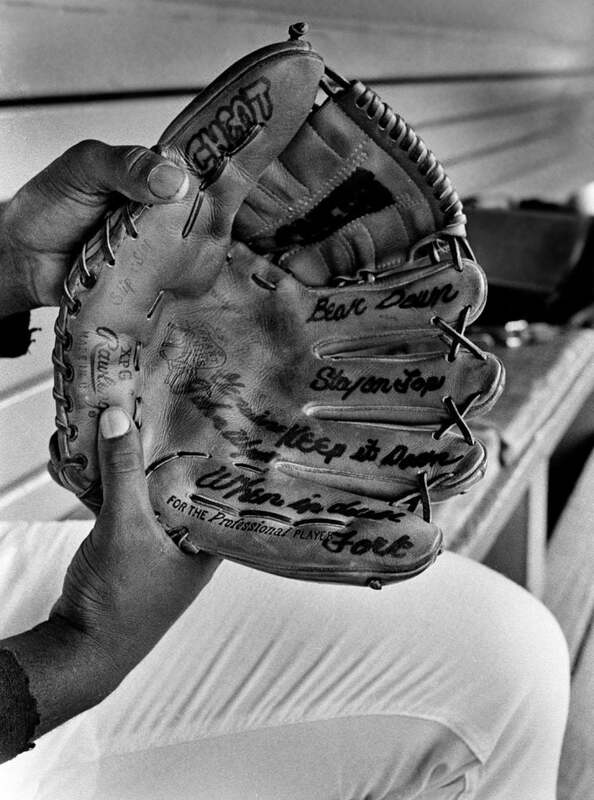 That was the summer when Jason Varitek shoved his mitt into the face of A-Rod. When favorite son Nomar Garciaparra was traded. When a 3-0 series deficit to the hated Yankees in the playoffs was just a bump in the road. When a bloody sock became the stuff of legend. And when another legend, the legend of Big Papi, began. For Red Sox fans, and for the neighborhood around legendary Fenway Park, a new chapter had begun. The next generation steps up to the plate as the D’Angelo brothers’ business continues to grow. Their strategy? Kick the competition to the curb. How the 2004 World Series victory made all the difference to this Red Sox family — and their family business.